The motion detector can't see me! 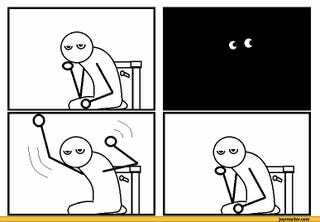 Anyone else work in a building that's all about energy efficiency and therefore has lights controlled by motion detectors? My adviser’s office is rigged up like that and I work in here when my other desk is being used by labmates (we don't have enough desks to go around) and end up having to jump around every once in a while (I'm too short to just wave). What are your office annoyances?